Niezijl – Director Sonja de Vries. Sonja de Vries studied organ, piano and harpsichord at the University of Stellenbosch, South Africa. In 2002 she attained the highest qualification for organ (Voordraerslisensiaat) at the University of South Africa and in 2003 the Music Performance Diploma (Masters) at the University of Stellenbosch, both with Honours. In the Netherlands she continued her organ studies with Theo Jellema at the Prins Claus Conservatory in Groningen. In South Africa she was active as a singer and accompanist with the national youth choir Pro Cantu, which won fourth place at the International Choir Olympics in Linz (Austria) in 2000. From 2004 to 2008 she sang with the ‘small choir’ Focaliber, which won first prize at the Northern Netherlands Choir Festival. 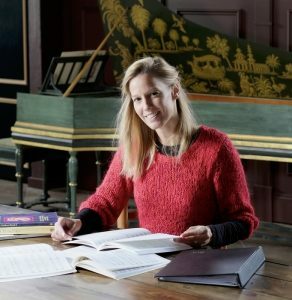 Since March 2008 Sonja has been working with the Stichting Koorschool Noord Nederland (The Foundation for the Choir School of the Northern Netherlands) where she directs the training of the Roden Girl Choristers and the Roden Boys Choir. She has been the artistic director of the Roden Girl Choristers since september 2008.